Great news! 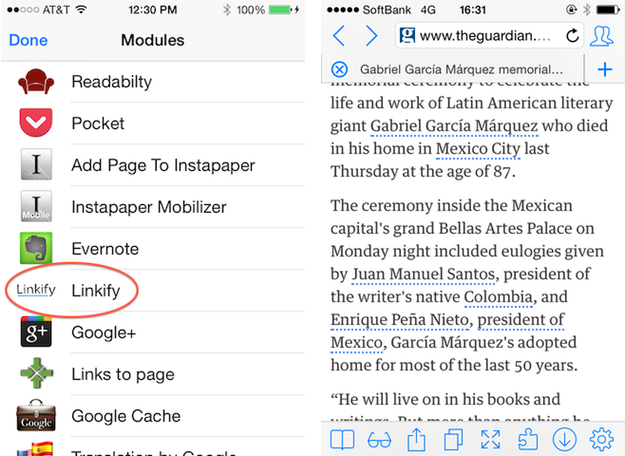 Linkify is now a module for iCab Mobile! iCab is a multifunction browser for iOS. It’s a great browser that you can customize with a variety of modules. If you want to use Linkify on Android, try Dolphin Browser and Sleipnir Mobile. This entry was posted in News on April 28, 2014 by ayaeh.